Best Seedbox 2018 : Find the Best Provider of the market ! Last update : 26 April 2019. Finding the best Seedbox is definitely not an easy task. Even though these VPS (Virtual Private Servers) are not very famous, they really deserve all your interest. In fact, not only they enable you to download and upload files with an insane speed, but they also enable you to stock hundreds or thousands GBs of files like movies, series, musics, documents,… in order to have an access to them from everywhere. There are currently quite a few Seedbox providers and you’ll discover them in our best seedbox providers comparison. As you’ll see, the solutions offered are quite interesting. Without wasting any more second, discover our bests Seedboxes in this comparison table which presents the bests providers which are cheap, reliable, offering a good quality of services and an awesome support client. We had the chance to try them all and we were more than pleased and we have no doubt that you’ll be too. All websites that we present there are in English, even Seedbox.fr. Indeed, you’ll be able to switch into English and we highly recommend you this awesome very cheap and efficient Seedbox provider. It is definitely one of the bests, if not THE best you can find. 3 What is a Seedbox ? 4 What are the advantages of having a Seedbox ? Even though the name can seem very exotic, don’t worry, it is everything but something complex. In fact, it is simply a dedicated server that you’ll rent (for 1 month, 1 semester, 1 year….) and which offers an awesome high speed connection enabling you to download and upload all your files with a crazy speed. The best Seedbox that you’ll discover in our ranking offers more than 10Gb/s bandwidth…you’ll struggle to get something better from home. Originally, Seedboxes were meant essentially for downloading files thanks to their bittorrent software which is directly integrated. The later takes care of the downloading of all your files for you and this is perfectly anonymous. Indeed, in 99% of cases, there will be a VPN (OpenVPN) included. Once the files downloaded on your seedbox, you’ll just have to bring them back on your computer with a simple FPT or HTTP download. Now, a Seedbox is not meant to this only function anymore. 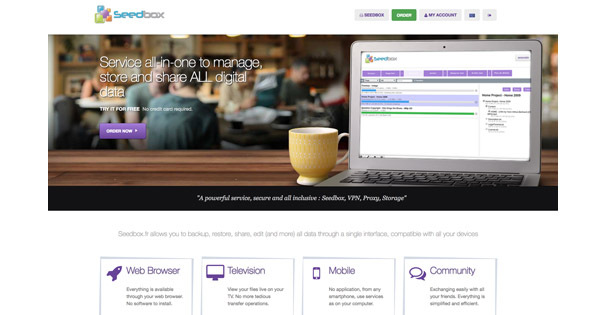 Indeed, many people also use Seedboxes as clouds to stock all their files. In fact, ever more people can’t stock all their photos and videos on their computer. Unless you buy an external hard disk or a real server, you’ll be bound to delete some of your files, the videos of your vacations,… Or, you can rent the best Seedbox that you’re about to discover in our comparison. 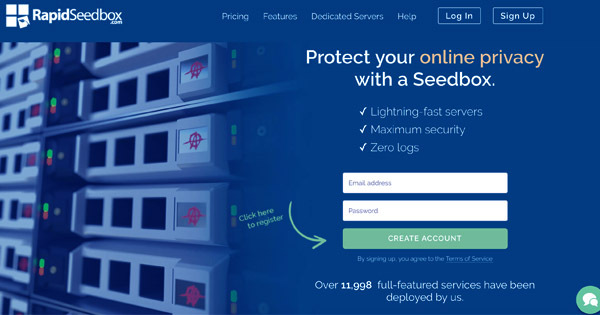 The real advantage of a VPS as we’ll say again in our best cheap Seedbox 2018 comparison, is that you’re perfectly protected thanks to an integrated VPN which is pre-installed on your Seedbox. 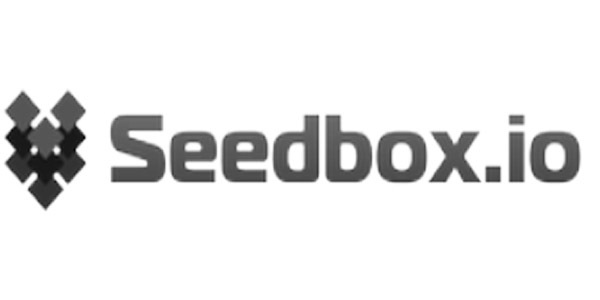 In the end, the best Seedbox will be the one offering a large storage space, with cheap prices, very high connection and, last but not least, a very good client support. This is something that really matters as you’ll see in all our Seedbox reviews. As you’ll see in our 2018 best seedbox comparison, we only present the bests on the market. Therefore, they’ve already passed a first screening in order to be sure that they are really worthy of interest. Hence the fact that, even the last VPS of our best Seedbox comparison ranking is still a very good one. Indeed, even though it is last, you need to keep in mind that it is « the last of the bests ». As long as a cheap Seedbox provider is in our ranking, it is a proof of quality and excellent services. We also try to find you some cheap VPS or dedicated servers even though it is sometimes quite hard to compare. Indeed, a cheap Seedbox provider can be cheap only because he has very small storage spaces. Logically, a provider offering large storage place will definitely be more expensive. Actually, what you should really focus about when looking for the cheapest and best Seedbox is the $/Go on your VPS. This will really tell you which one is the cheapest if this is the most important criterion for you. What are the advantages of having a Seedbox ? Having of of, if THE best Seedbox offers quite a few very interesting advantages. The first is that you’ll get an awesome bandwidth with very high speed connecton that you could never reach at home. 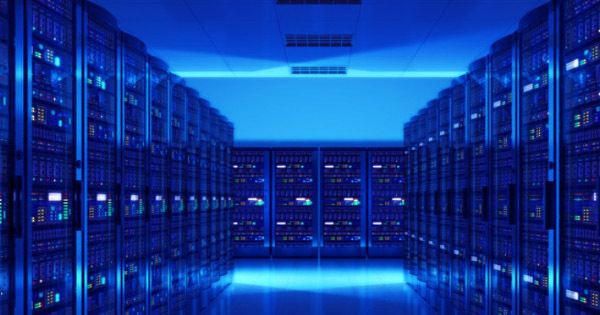 Your VPS will offer you a way better connection without ever having any consequence on your connection at home. Of course, you’ll only be able to download the file from your Seedbox to your computer with the maximum speed of your home’s connection. Yet, for uploading and sharing files, it will be very useful it can be done very swiftly and 24/7 on your best Seedbox. Indeed, the best VPS or even the ones which are not the best but which are present in our comparison will be able to share files at a speed up to 10 or 20Gb/s. In other words, this is just crazy ! Furthermore, for torrent sites which are asking for a specific ratio, you won’t have to leave your computer on, seeding for days and nights, eating all your bandwidth. No, here, you just switch your computer off and your awesome cheap Seedbox will do the job for you. Everything you’ve got on your VPS will be shared 24/7 during all the time of your rental. This is definitely a huge assets you’ll get if your purchase one of the best Seedboxes. Then, you’ll be able to stream it directly on VLC for instance. You’ll see in our Seedbox reviews that there are plenty of providers which offers this solution. This is really pleasant and we’re sure that you’ll like it. In the end, you’ll be able to build your own video library with all your series, movies or personal videos…and watch them directly without having to stock anything on your computer. The bigger your server, (500Go, 1To, 2To, 3To…) the more files you’ll be able to stock. Note that you’ll also be able to use Plex on the best Seedboxes. If you don’t know it, well, you definitely should ! Indeed, it is (at least) as good as Netflix and you really can build your own library with everything you want. Then you can stream all your videos on many support such as your TV, Playstation, iPad, Apple TV, smartphone,…). In the end, you cheap Seedbox provider will end up being way cheaper and really more interesting than a Netflix subscription. Finally, we can also talk about the fact that your VPS is delivered with a VPN (Virtual Private Network) in order to make your connection perfectly anonymous in order not to be spied on. In fact, thanks to its integrated VPN, the IP address won’t be yours but it will be the one of your Seedbox. Of course, your provider will never reveal to anybody the name of the owner who is linked to the IP address. We are well aware that you don’t always have time to read our in-depth Seedbox reviews. For this reason, we’ve done some very short summaries which sum up the essential things you really should know. This is, for instance, the main strengths and weaknesses of the best Seedboxes that are present in our 2018 comparison and ranking. Yet, as you can see, the average grades are often very close one from the other. This is, according to us, THE most important criterion you need to take into account when choosing the best Seedbox. Of course, you don’t rent a VPS for the client support, this is totally true. Yet, if one day you have a problem, or just a simple question, you’ll be more than happy to have an friendly, efficient, and reactive client support. Most of the providers (if not all) are available 24/7 which is so great. This is maybe one of the quality needed to be in our ranking of the bests Seedboxes 2018. Really, believe us when we say that some providers are really excellent as far as client support is concerned. It is just too perfect ! In our Seedbox comparison, you’ll find this under the « support » title. Let alone the number, we also take into account the variety in terms of storage space. Indeed, if you have the choice between 5 Seedboxes offering 100Go, 200Go, 300Go, 400Go and 500Go, this is not as good as one provider offering « only » 3 VPS with 300Go, 1.000Go and 2.500Go of storage. We think that you’ve understood what we mean there. The choice will rely not only on the number, but also on the storage space. You need to take these two things into account to find the best cheap Seedbox. In our table, this appears under the « Choice » title and the number corresponds to the number of VPS you can choose. If there is written « Plex » that means that Plex, the awesome software to watch all your videos, is available on the server. Third criterion that you need to take into account to find the best and the cheapest Seedbox is the quality of the services which are offered. 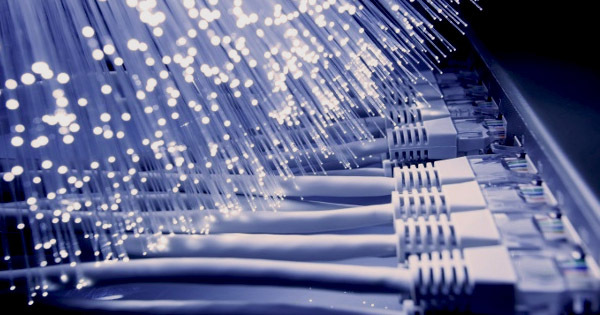 As you can see in our in-depth reviews, this take into account the connection speed, the quality of the bandwidth, the number of files simultaneously active,… You’ll find some providers offering between 100Mb/s and 20Gb/s for the bests. 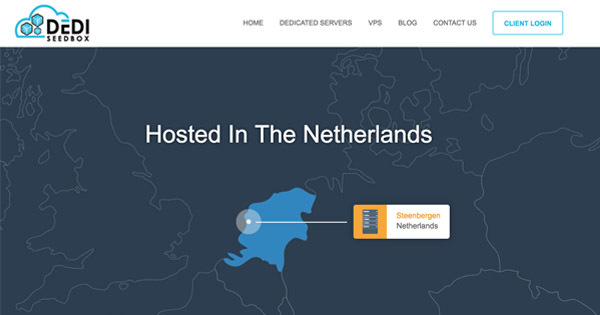 The availability means the time during which you’ll be able to access your VPS. Most of the time, it is very very close to 100%, otherwise, the providers would not be in our best Seedbox comparison. In other words, let alone very rare bugs, you’ll always be able to access your VPS. Definitely, the price is a criterion you need to take into account if you want to choose a cheap Seedbox. As you can see in our comparison table, the best one is unfortunately not the cheapest one. There are different variables which make the price be high or low. For instance, the storage space but also the quality of your interface or the quality of your client support. Actually, this is a summary of the previous criterion we’ve seen. Definitely, the bigger your seedbox, the more expensive it will be. In order for you to have a good starting point for your comparisons, we always compute the price as the cost of 1Go stocked. 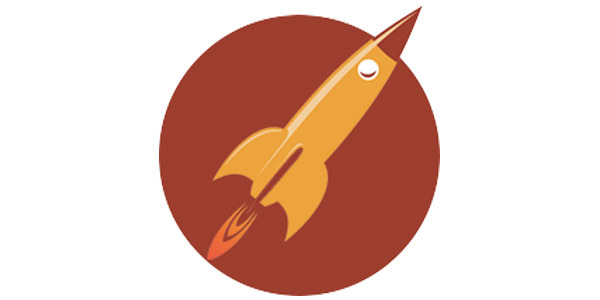 For instance, the best Seedbox providers are very close to 0,01$ for 1Go stocked / month. This can be very very interesting. For instance, with one of the best Seedbox provider, for which we did an in-depth review, Seedbox.fr, you’ll get 3 months free if you take a subscription for 1 year. Second in our ranking of the best Seedbox 2018, this French and English provider really pleased us. Indeed, it offers awesome solutions for people who want a cheap Seedbox between 200Go and 3.000Go. 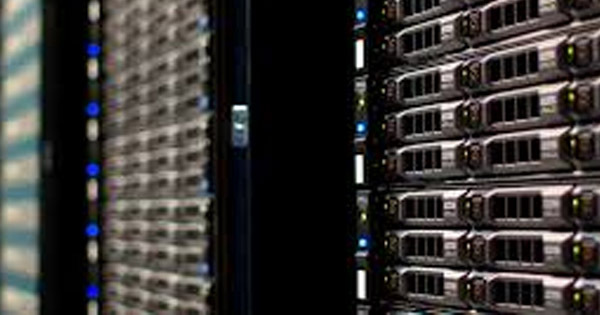 we really like the large choice of VPS that you’ll get here. There is « only » 4 packs, but the are well distributed between 200Go, 600Go, 2.000Go and 3.000Go. Therefore, if you are a beginner or a « pro » you’ll find something that perfectly suit you with this provider. Furthermore, it offers a very good client support which will answer you by chat, phone or ticket. Normally, when you’ll go on the website, it will be in French. You’ll just have to hit the little flag to turn it into English and enjoy ! 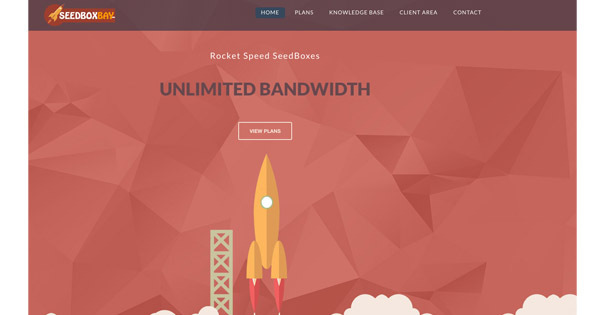 What we also really like about Seedbox.fr, and you can see it in our in-depth review, is the fact that you’ll have 10Gb/s of bandwidth. This is one of the best we present here and the quality of the interface is really good. What also make it one of the best Seedbox providers is its insane quality/price ratio ! Indeed, this is the second cheapest provider that we have in our comparison and ranking. Furthermore, you’ll get 30 days free on a 50Go Seedbox to discover the offer. Trust us, if you try it, you’ll adopt it. This is definitely a very good cheap provider that you should absolutely try, even if it is only for the 30 free days. Since July 2017, two new solutions have been added : the Premium Seedboxes. You’ll finally have Plex and no limit of active files on your server. 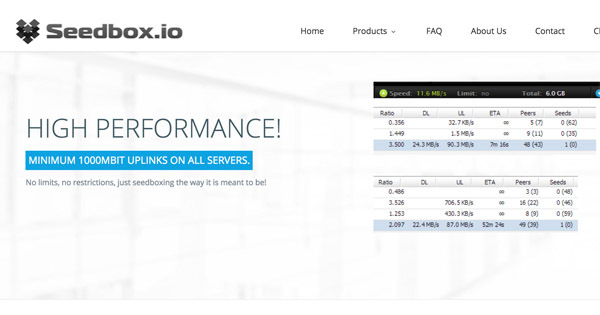 This is definitely a good news and we have no doubt that you’ll manage to enjoy these 2 Premium VPS with Seedbox.fr. This is a significant addition which raises even more our review on this provider. The only little criticism that we can make is about the client support. Even though it claims to be available 24/7, it is not as good as RapidSeedbox. Indeed, you’ll sometimes wait hours to get an answer (during night time) whereas you’ll never wait more than a few second with RapidSeedbox. Still, we are being very exigent here and the client support is actually very good with this very cheap Seedbox provider. For the « long » waiting time, we graded it with a 7.5/10 in the client support section which is maybe a bit severe… But it is so good on the 3 other criteria that it still leave it second of our best Seedbox comparison and ranking 2018. To know more about it, we invite you to read our in-depth reviews. Seedbox.io offers the best choice as far as VPSs are concerned. Indeed, you’ll be able to choose between solutions of 200Go to 3,6To of storage space. No matter if you are a beginner or an experience client, you’ll definitely find what suits you with this cheap Seedbox provider. You’ll also be able to order dedicated servers or SSD Seedboxes. As far as prices are concerned, Seedbox.io is part of the cheapest providers. Indeed, you’ll be approximately 1,3 cent / Go which is really among the best performances for tarification. If you want to use Plex with this provider, you’ll need to rent a « Plex Server ». Unfortunately, it is not available on the « normal » VPSs. As always, this VPS is not perfect and that’s why it is not the best Seedbox provider on the market. Indeed, the client support is only reachable by ticket. Still, is will always answer very swiftly which is what we really enjoyed about it… Yet, If we compare it with RapidSeedbox, EvoSeedBox or SeedBoxBay, it is absolutely no match in terms of means of communication. Furthermore, we didn’t really enjoy the fact that their packages are really complex. We really felt lost and we truly think that many of our visitors would be too without our explanations in our in-depth reviews. We truly invite you to read it in order to find the cheapest solution. As you’ll see, it is, oddly enough, not on the biggest package ! Finally, we were a bit disappointed to find only a speed connection of 100Mb/s on the basic offer. Still, this Seedbox provider is in our comparison and ranking and really deserves its third place. This is not the best, but it is not far from it ! 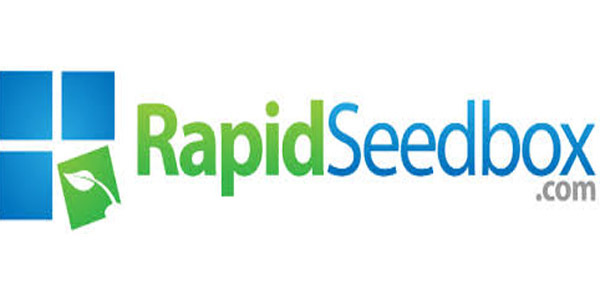 RapidSeedbox is definitely the Seedbox provider which pleased us the most and offers, according to us, the best Seedbox 2018, even though it is not really the cheapest… In fact, as you can see in our comparison table, you’ll really have some amazing performances and we truly invite you to read our in-depth reviews in order to know more about this provider which currently ranks first in our ranking. The biggest strengths is certainly the client support which is efficient, friendly and available 24/7. You’ll get an answer in a few seconds only, be it at 3am or 3pm. Furthermore, you’ll have a large choice of VPS going from 500Go to 2800Go AND there are compatible with Plex ! This is something we really enjoy and this is certainly a reason for which this is the best Seedbox provider you may find. Unfortunately, as you can see in our table, this provider doesn’t get the perfect grade of 10/10. Definitely, it can’t be perfect. In fact, we would have liked to have a better connection (here you’ll have 1Gb/s which is already very good) and cheaper prices. Yet, it still got an awesome 17/20 and RapidSeedbox is really worthy of interest. This is a reference you definitely should try if you want to know what it is to use the best seedbox provider. 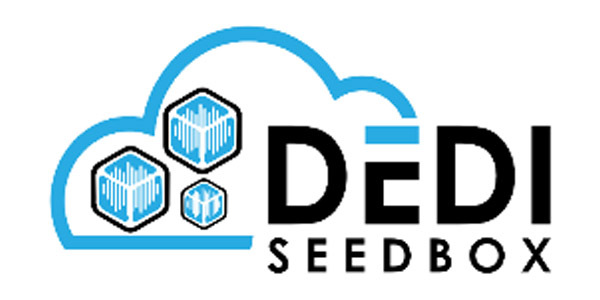 One of our favorites provider which is present in our best Seedbox provider comparison and ranking 2018 is DediSeedBox. It is maybe one of the best known all around the world. The first thing we like about it is its 2Gb/s bandwidth and its very good protection with OpenVPN in order to make your connection perfectly anonymous. One more time, this is definitely one of the best Seedbox providers because it is compatible with Plex which is something so important according to us. But its biggest asset is definitely its price. Indeed, this is the cheapest Seedbox provider you’ll find. In fact, the Premium pack will be just slightly more than 0,01$ / Go / month. This is definitely very competitive and the quality of the services is very good. If we only cared about this, DediSeedBox would definitely be the best Seedbox 2018. If you want the cheapest provider, it’s here ! Yet, if we take into account our 4 criteria, this is not the best… Indeed, the client support is really disappointing. Even though it answers very swiftly, we were always disappointed by the coldness of the answers. It is short like « Do it yourself, go look in the FAQ. » or things like this. You really feel like you are disturbing the employees who would rather be home doing something else… Furthermore, the choice of VPSs is very limited. Indeed, you’ll only have 3 choices between 1 and 2TB of storage space. These two grades of 7.5/10 explain its grade of 16/20 in average. Still, this is a good Seedbox provider, and maybe one of the bests if you don’t take into account the client support with is really bad according to our own experience. 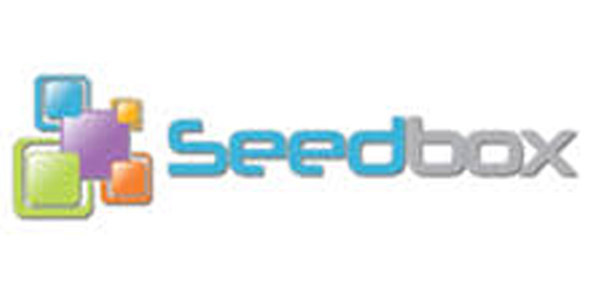 Among the cheap Seedboxes, you can find SeedBoxBay which has a pretty low cost solutions. Even though you don’t have a large choice, you’ll manage to find something that suit your needs as long as you don’t want something too big. Because, indeed, this Seedbox provider offers small VPSs. The biggest server will only be 450Go… The advantage of this is that you’ll get very cheap prices. But what we really do like about this provider which offers one of the bests Seedboxes 2018, it’s the client support. In fact, even though it’s not as fast and efficient as the one of RapidSeedBox, it still offers a very good performance and is available 24/7 by ticket or skype. What we can criticize here is the fact the the choice is really too limited according to us. Nowadays, having a Seedbox of only 450Go seems really short. It will be perfect for beginners who want to familiarize with the interface and discover the world of VPSs, but it will not be enough for people who want to stock all their data. Furthermore, we would have liked to have a better speed connection. Here, you’ll have 1Gb/s, which is already very good, but it seems weak compared to the 10Gb/s of Seedbox.fr. Still, this is definitely a good provider which offers one of the best Seedbox on the market for the time being.